Many of my career coaching clients discuss being uncomfortable with networking, either due to their personality, their values, or their lack of knowledge about how to go about the process. 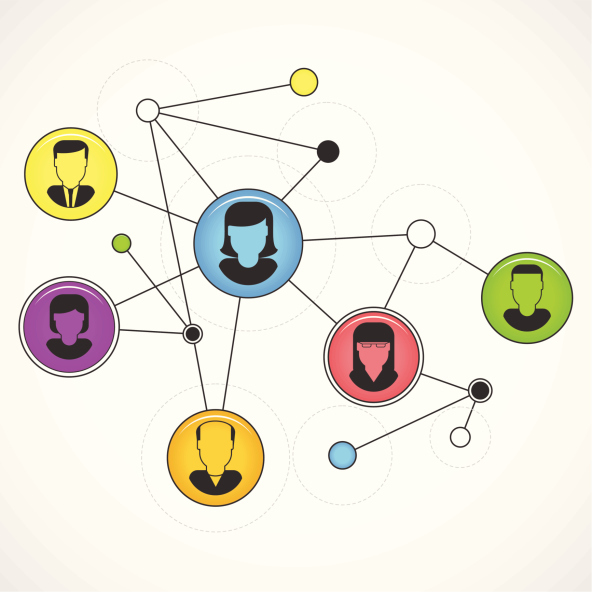 I always strongly encourage my clients to integrate networking into their job search toolbox. Successful networking for some entails a radical change in how they relate to others, and how they describe themselves. Such change can cause great discomfort and trepidation. However, rather than allowing this anxiety to serve as a major barrier to your job search strategy, I would recommend embracing and becoming comfortable with this discomfort. Ultimately, this discomfort will be worth the experience, if you are able to stretch yourself for the benefit of your career options. The premise of Facebook, LinkedIn, and other social networking sites is that the world is one large web of connections. In order to be successful, you must be able to organize and understand these connections. Networking is the process by which you utilize these connections for your career goals. If you are shy, or feel a sense of shame about asking for help, it is critical to recognize that the majority of jobs are obtained through networking. Everyone needs help, although many are loathe to admit it. Therefore, your first step should be informing friends, family, former colleagues, and supervisors about your current job status and goals. So, I would encourage you to reach out to 3-5 persons with whom you have not been in touch for a while. Email or call that person and invite him or her to coffee or lunch. Expect that at least 1-2 or those people will respond and set up an appointment. Don’t be discouraged if the others fail to respond. Stay optimistic and prepare for your meeting by reviewing the 5 P’s of networking (patience, positive tone, pitch, post-networking follow up and practice). Patience – at the meeting, make sure to take a genuine interest in catching up with that person, and allowing him or her to fill you in on his or her activities. Refrain from jumping immediately to a discussion of your plight and your need for assistance. The process of networking as a whole requires a great deal of patience, since most of your efforts may not bear fruit for weeks to come. When the time is right, you will have an opportunity to discuss your situation. Positive tone – during your networking meeting, when you do have an opportunity, talk about both personal and professional endeavors and maintain an upbeat tone. Although you may be angry about being unemployed or underemployed, it is important to create a positive impression to your networking contact. You may wish to practice your main talking points before the meeting. The goal of the meeting is to ask for information and other networking referrals, not explicitly to ask for a job. People may feel more inclined and able to assist you with information rather than a job, and that should be the goal for the meeting. Professional Pitch – make sure to prepare your talking points which highlight your skills, experience, career goals, and unique attributes. Your personal pitch should enable you to be memorable in a positive and qualified manner. Most people have difficulty composing and presenting a pitch in a natural style. However, it is important to know when networking, you are essentially having a conversation with another individual or individuals. Therefore, make your points but also be sure to listen and be responsive to other people. Post-Networking Follow-Up – after the networking event or opportunity is over, the next critical step is to actually follow up with your new contacts. You should first send a thank you letter 24 hours after the networking event, and mention a notable aspect of your conversation (e.g. your career goal of becoming a marketing manager and your past experience working for a marketing firm). A key mistake that people make when networking is failing to follow up for fear that it will be awkward and the possibility that their new contact may not remember them. Once again, I would encourage you to embrace the discomfort and reach out graciously. If the contact fails to respond, do not be discouraged, and simply move on to the next contact. Follow up is what separates skilled networkers from those who may not be successful. Practice – finally, since networking may not come naturally to you, it is crucial to practice, practice, and….practice. The more you are able to do so, the more you will feel comfortable and confident enough to continue your efforts. Over time, such practice will benefit you and you will reap the amazing results of your networking endeavors. So become comfortable with the discomfort and happy networking!